Western cowboy boots represent the traditional footwear of the American Midwest. They marked one epoch and became a timeless symbol. Back then, who could imagine these boots will become an inevitable fashion detail in some future period? Modern cowboys were the ones who liked this footwear the most, but even those who don’t prefer that western style has at least one pair of these unique boots. If something has left from the era of Wild West, it is that leisure cowboy look and attitude that makes a woman’s heart goes boom. Fortunately, cowboys of nowadays only physically remind of their brave ancestors. No more blade of grass in the mouth, spurs and rope (of which today’s animal protectors would have goose bumps) and slightly arrogant behavior. 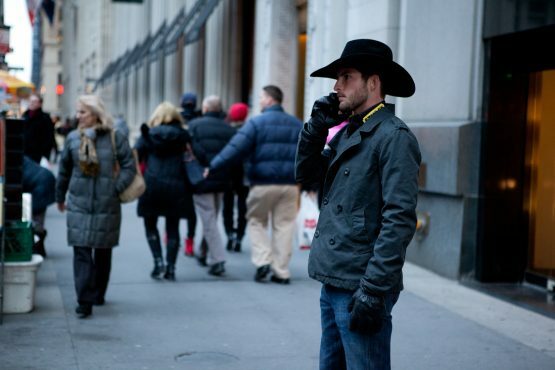 Modern cowboy is characterized by beautiful manners, gentlemanship, and firm attitude. Round toe cowboy boots are just a detail to complement that country image and give a unique mark to each dress combination of every urban man. If you are intrigued by the real cowboys, read some interesting facts on this source: https://www.history.com/topics/westward-expansion/cowboys. In the variety of styles that make everyone dress almost uniformized and look just like anyone else. Although the country style is fashionable for several years now and has been seen so many times, there is something that makes male cowboy look stand out from all the others. Maybe it is not so much about the wardrobe, how much for the attitude and the personation of what cowboys represented centuries ago. A man who finds himself in this style must be an absolute gentleman in all fields – in business, with family and friends, with his loved one, but also with any random person. This is a guy who will take his hat off in a sign of respect. This is not something that you will see every day (for more meaning of tipping or removing the hat in a cowboy manner, check this page). Everything else, and we primarily think of clothes and accessories, is just an extra to make the impression complete. The cowboy style has to offer much more varied clothing than jeans, hats, and bandanas. 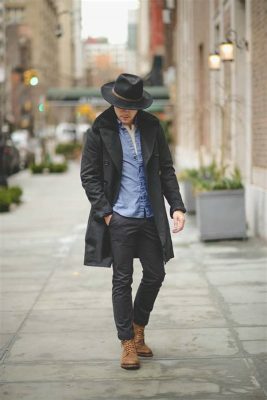 Boots are unquestionably the most remarkable detail in this look, and we will briefly introduce the style of the urban cowboy for all occasions. While many of us would think that this style is represented mainly in ranchers, oil magnates, and country singers, it slowly but surely jumped out on the streets and became our everyday. There are some rules that you should adhere to you want to be an urban cowboy, but also some basics that everyone knows. Real cowboys prefer high-knee boots for the leg protection and pointed tops because these enter the stirrups easily. But those who want to combine fashion and comfort have expanded the market of cowboy boots, and offer the ones with round top, adapted to city life. Finding a matching outfit for this model is not as hard as it seem, since these boots are “the most ordinary” footwear for a modern cowboy. You can always opt for denim clothes if you want to play safe. Perhaps the only rule for this combination would be that jeans should not be matching. To separate the upper and lower parts in some way, combine classic and washed jeans, black denim shirt with dark blue Levis, etc. 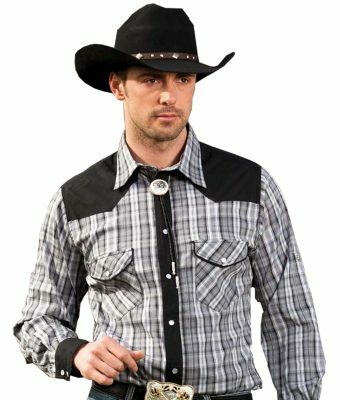 Men who prefer cowboy style should know that there are many other outfits than just jeans from head to toe. The first step out from the comfort zone is matching jeans with flannel, t-shirts, and sweaters. Although cowboy boots and jeans are the best buddies, maybe you can try something else? The straw hat and massive leather belt are probably the first that comes to your mind when you think of the modern-day cowboy accessories, but there are more of them. Any of these, you can combine, for example, with some detail on a belt or round toe western cowboy boots, like those from tecovas.com. Gloves, bandanas, and jewelry can be a great extra to every outfit. Perhaps the original cowboys did not wear jewelry; maybe today there are those who think that bandanas are reserved for women only. However, for those open minds who are ready to experiment, collections of men’s cowboy accessories are varied and offer pieces like scarf, collars, rings, badges, and watches. Emphasize your self-confidence and all the beauty of urban country style with the combination of trousers and some stylish cowboy shirt, perhaps even a collared shirt, which was a part of the typical outfit of the original cowboy. Choose the model and material of the trousers depending on the occasion and the season – in the winter, decide on the velvet and tweed, and in a warmer period, let your choice be twill or thinner denim if you don’t give up of the urban cowboy look even at high temperatures. So what if you want to wear cowboy boots in the summer? In quality, leather boots, your legs won’t sweat. Are you brave enough to wear leather trousers along with round toe cowboy boots? This piece of dressing is quite eccentric, but on the right occasion, it can look so, so good. This is not something that is feasible to wear every day, but for some themed party, country fair or rodeo, it is a great choice if you want people to notice you. The street style of a modern cowboy is not for everyone. If you want to wear just a hat, that doesn’t make you a cowboy. The rest of the outfit is not complete without the appropriate footwear, so boots are “a must” if you want to bring that western spirits to the streets. If you know how to wear it, you won’t look eccentric but strong, trendy, and self-conscious. Previous articleIs A Vegan Diet Right For You?